She stands alone! 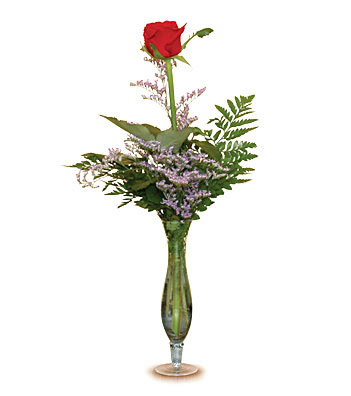 One long stem red rose in a bud vase�. sometimes that�s all you need to make that special statement.